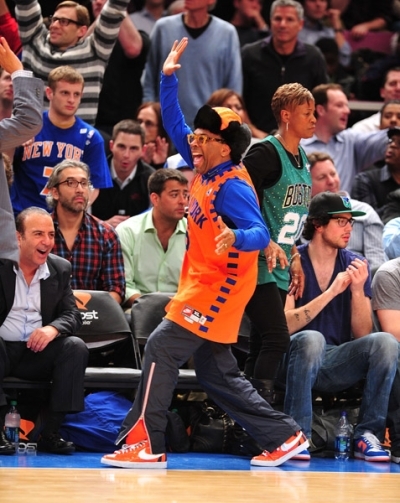 Oh, you gotta love Madison Square Garden these days. Here's who we've seen the past few games. 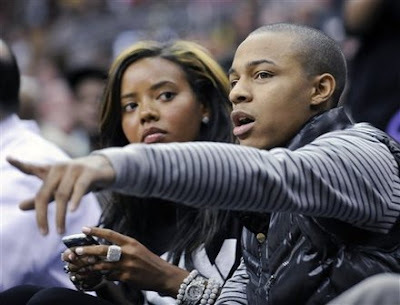 Bow Wow looks like he's teaching Angela Simmons the game. She has that look, like..."I just came to be seen, and now I'm tweeting about it!" 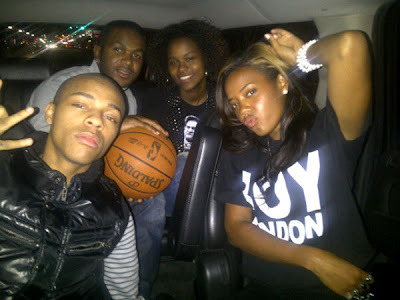 Here's a twitpic of the kids in the car down to the arena. and Bow Wow was the one tweeting. 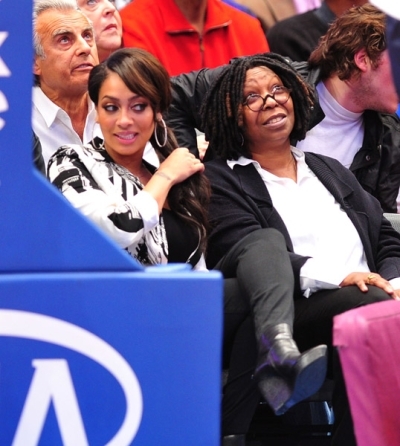 Actress Whoppi Goldberg sits next to Lala Anthony. ...and Spike Lee. 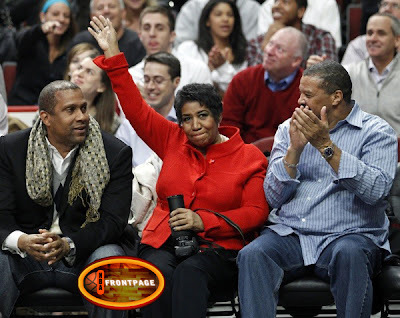 It looks like Ray Allen's mom is like "This fool is crazy. 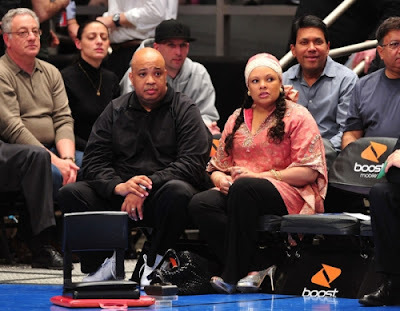 You know Boston is gonna beat that..."
and the Simmons': Rev Run and his wife...this is a different game than the kiddies went to as seem above. It's the Queen! Aretha Franklin! 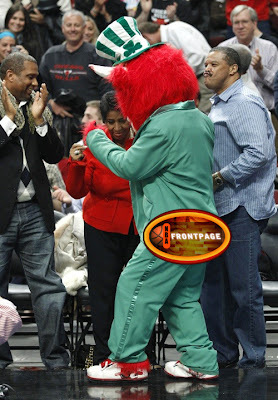 And Benny the Bull had to dance with the singing legend.